If you have been following my blog, you would have guessed by now that my husband and I are fond of mushrooms. I look out for different dishes which use mushrooms as they have many benefits for health. 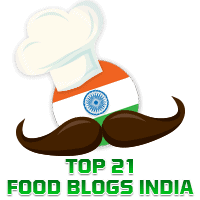 Therefore elsewhere in this blog you will find recipes for dishes like Mushroom Mint Pulao, Kadai Mushroom, and Mushroom Chettinad. Today's recipe is adapted from Padhu's Kitchen as I was attracted by this somewhat unusual combination of mushrooms with cabbage. Both take very little to cook and this dish is simple to make. This dish tastes great and goes well with both rice and rotis. Clean and slice the mushrooms and keep aside. Wash and shred the cabbage and keep aside. Cut the onions into thin slices and keep aside. Heat oil in a kadhai and when it gets hot add the cumin seeds. Once they sizzle, add the thinly sliced onions and saute till the onions become translucent. Add the finely shredded cabbage, sprinkle a little water, and mix well. Then add chilli powder, turmeric powder, the sliced mushrooms and salt as required. Mix well. Also ensure that the cabbage does not get overcooked. Lastly, add the chopped spring onion greens and cook for a couple of minutes more.